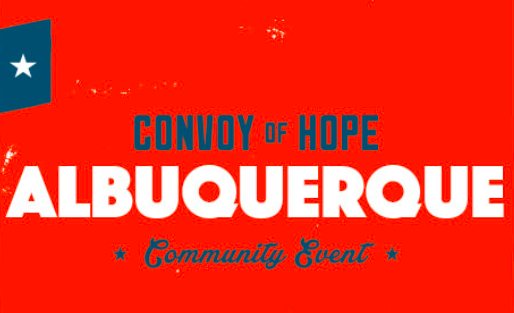 Convoy of Hope is a collaborative, community event to bring hope to families in our city through free groceries, health screenings, job services, family portraits, children’s shoes, veterans services, community resources, haircuts, prayer, activities for children and more - at no charge to guests. We are called to be good neighbors. Serve the City is an incredible opportunity to be good neighbors alongside churches from all over ABQ. New City, other churches and local organizations will be mobilizing nearly 600 people to radically exhibit restoration at work in our city. Save the date: Saturday, April 14 | 9-11:30 or 1:30-4. Lunch is provided from 12-1pm at Grace Church. Looking for an opportunity to live intentionally and serve the community? Join New City on September 9 | 8am-12:30pm, as we love the city through mission. We will meet at New City by 8am. Breakfast and coffee will be provided. We will then be sent out to the work projects. You will receive an email before Saturday with all details and info related to your specific project. Questions? email easton@newcityabq.org. Love INC partners with local churches and agencies in Albuquerque. They screen and refer those in need to the best organization to meet the need. New City will be assisting families as they pick up household furniture and goods. Kids over 16. Space is very limited! There are over 1000 children in the foster care system in Bernalillo County. New City will be assisting CYFD as they seek to care for those children. We can do that by cleaning and sprucing up the visitation rooms at CYFD, creating an art center and general facility care. This will involve general cleaning, and decorating and is appropriate for kids and families. Mission Ave is a local school that New City loves and cares for. We will be assisting in cleaning up the community garden and the clothing closet. This will involve weeding, raking, folding and organizing. Kids and families are welcome. We will be delivering firewood to Pastor Tulley to be used during the fall to heat homes and cooking. This will involve loading/unloading trailers, moving firewood and driving back and forth to Cuba, NM. This team will return to Albuquerque at approximately 4pm. We are called to be good neighbors. Serve the City is an incredible opportunity to be good neighbors alongside churches from all over ABQ. New City, other churches and local organizations will be mobilizing nearly 600 people to radically exhibit restoration at work in our city. Please sign up for a project here (if the link does not work, type servethecityabq.com directly into your browser). You can choose any project that resonates with your heart, skill set, family or timing. Once you sign up for a project you will receive more project specific direction. Details: Saturday, April 1 | 9-11:30 or 1:30-4:00. Lunch is provided from 12-1pm at Grace Church. Please contact easton@newcityabq.org with questions. Looking for an opportunity to live intentionally and serve the community? Join New City on February 11 | 8am-12:30pm, as we love the city on mission. We will meet at New City by 8am. Breakfast and coffee will be provided. We will then be sent out to the work projects. You will receive an email before Saturday with all details and info related to your specific project. Questions? email easton@newcityabq.org. Love INC partners with local churches and agencies in Albuquerque. They evaluate, assist and refer those in need to the proper resource. New City will be working in the warehouse/store. We will be gathering furniture and household items and preparing the items for client pickup. We will also be assisting clients load their goods. This will involve general lifting and is appropriate for kids 12 and older with supervision. Shine will be facilitating the cleaning and organization of the clothing closet. This will involve general cleaning, folding and lifting and is appropriate for kids and families. Mission Ave. has asked if New City would help to create a memorial garden in their courtyard. We will be removing bushes, digging and chopping in preparation for a garden later in the spring. This will involve outdoor yardwork and is appropriate for kids 12 and older with supervision. community-wide food drive to benefit families at Mission Avenue Elementary School. Most people want to help others, but they don’t know how. We want to be a conduit for people to help others in need. This Sunday, grab a stack of bags provided. Identify five houses/apartments in your neighborhood. You could also hand out bags to people at your office or to your friends and family. We have provided you with grocery bags and fliers that you will hang on your neighbor’s front door early in the week; preferably Sunday, Monday, or Tuesday. If your neighbor would like to participate in the food drive, they will leave their non-perishable items in the grocery bag outside their front door to be picked up on the day you determined. Not every neighbor is in the position to participate, and that is okay. After collecting the grocery bags, please bring the donated food items to New City on or before November 13. Do not put anything on or in your neighbor’s mailbox. If your neighbor is out of town or a house is vacant, please do not leave the bag on their door. Participating in this food drive is a great way to meet your neighbors and co-workers. Use this as an opportunity to create community as you help our Mission Avenue Elementary School family. Recently, New City gathered early on a Saturday morning. You see, we believe that we are called to more than a Sunday morning faith. We believe that Jesus has both called and sent us to engage our neighbors and our city. Love INC partners with local churches and agencies in Albuquerque. They screen and refer those in need to the best organization to meet the need. New City was able to help with some promotion for their fall fundraiser. The team trekked all over the Nob Hill area meeting interesting people, telling them about Love INC and making businesses aware of opportunities to partner further. Beds4Kids collects and distributes beds to NM families. Sounds so simple... but just think for a second how sleep impacts our total wellbeing and cognitive abilities. It was pretty saddening to hear stories of entire families sleeping on the floor in their homes. Along with many others, we were able to deliver enough beds to help 115 people sleep better and to spend time engaging them in conversation and prayer. We were also able to connect families to other local resources and churches. The New Mexico Children Youth and Families Department oversees nearly 1000 children in the foster care system in our county. These are children who for a variety of reasons, are unable to live with their families. These children and families are reunited briefly in the CYFD facility by court order. We spent the morning deep cleaning the visitation rooms and passing out some small gifts to the CYFD staff. We hoped to bring a little joy and relief to a sadly overworked organization. Our hope in all of these projects is develop long term partnerships with a common goal of changing our community for the better. New City humbly serves with a Gospel motivation knowing that Jesus loves our city and its people and we are called to love in the same way. Looking for an opportunity to live intentionally and serve the community? Join New City on Saturday, September 10, from 8am-12:30pm as we Engage the city on mission. We will meet at New City by 8am. Breakfast and coffee will be provided. We will then be sent out to the work projects. Select your project preference by filling out the online form. 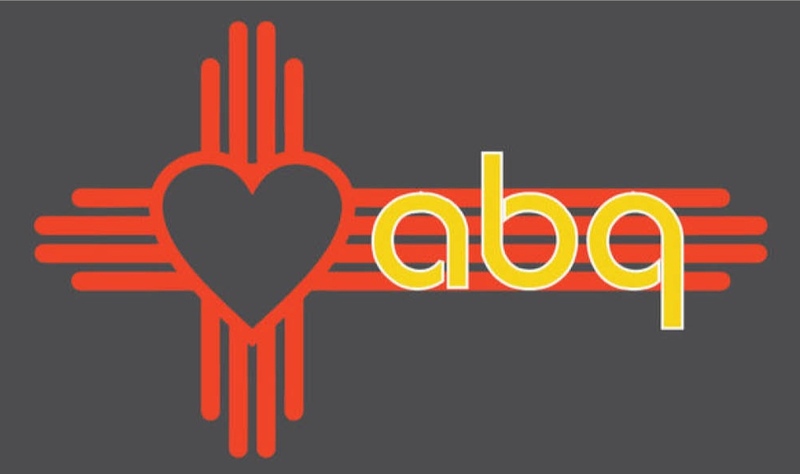 Love INC partners with local churches and agencies in Abq. They screen and refer those in need to the best organization to meet the need. New City will be assisting with the promotion of their fall fundraiser. This will involve visiting local merchants and placing marketing materials to advertise the work of Love INC.
Beds4Kids has collected and distributed 1100 beds to NM families. New City is going to be organizing the warehouse and facilitating multiple bed pickups and deliveries. This involves lifting, moving, cleaning and visiting with families. There is a need for trucks or trailers for bed deliveries. Kids over 12 welcome to participate, with supervision. There are over 1000 children in the foster care system in Bernalillo County. New City will be assisting CYFD as they seek to care for those children. One way we can do that is by doing some general cleaning of the visitation rooms at CYFD. The church is a not an event we attend, but a family we belong to. Too often church is thought of as building or a worship service, but the church is much more than that. The church is a gathering of people who are also scattered missionaries all over the city. The church is a family on mission. The church is not an hour long meeting, but an everyday experience with God’s people on God’s mission. If you want to know more about being the people of God on the mission of God, this class is for you! This class is about helping everyday Christians to engage in everyday mission. This class will be filled with street level theological discussion and it will be very practical. We are called to be good neighbors. Serve the City is an incredible opportunity to be good neighbors alongside churches from all over ABQ. New City, other churches and local organizations will be mobilizing nearly 600 people to radically exhibit restoration at work in our city. Please sign up for a project here. You can choose any project that resonates with your heart, skill set, family or timing. Details: Saturday April 23rd | 9-11:30 or 1:30-4:00. Lunch is provided from 12pm-1pm at Grace Church. Please contact easton@newcityabq.org with questions. Once you sign up for a project you will receive more project specific direction. Join New City on Saturday, October 17, from 8am-12:30pm as we Engage the city on mission. We will meet at New City by 8am. Breakfast and coffee will be provided. We will then be sent out to the work projects. albuquerque rescue mission- As an organization called to minister to men and women caught in the cycles of poverty, hopelessness, and dependencies of many kinds, they are distributing 150 Thanksgiving meals this year. We will be helping to personalize food boxes by wrapping, coloring and cutting various materials. cedar hill | pastor butler- Pastor Bulter and his family have a woodcutting ministry to the Navajo people. We will be hauling firewood for them from Albuquerque to Counselor, NM. The wood has been stockpiled over the last 8 months in partnership with Desert Springs Church and business partners. *This project may last as late as 4pm. -Teens and adults are encouraged to participate. crossroads for women- Crossroads for Women is an organization that empowers women to achieve successful reentry, sustainable recovery, and secure futures as they break the cycle of homelessness and incarceration. We will be taking on some projects at their facility. Prepare to paint, clean and move furniture within their office. mission ave elementary | shine club- Mission Ave and New City's mentoring program would like to create a path from a parking lot into the Shine Club room. This would involved landscaping, digging and gravel moving. Our annual school supply drive for Mission Avenue Elementary is here! Grab a few bags to fill and invite your neighbors and friends to participate. Please return the filled bags no later than Sunday, August 9. Email easton@newcityabq.org for more information.